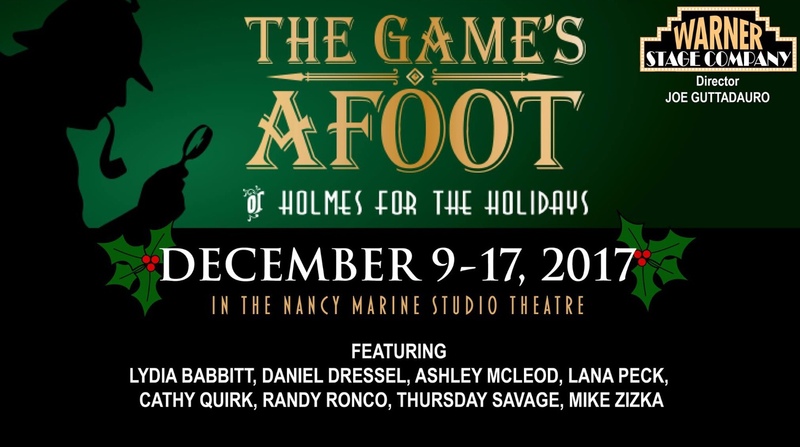 I am playing Inspector Harriet Goring in Warner Theatre’s production of Ken Ludwig’s The Game’s Afoot (Holmes for the Holidays) through December 17th. 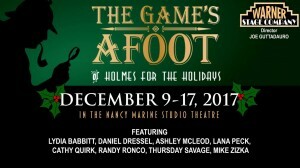 Directed by Joe Guttadauro (who you may recognize as my love interest in Nice Work If You Can Get It), and I am joined by two of my And Then There Were None co-stars (Thursday Savage and Mike Zizka). 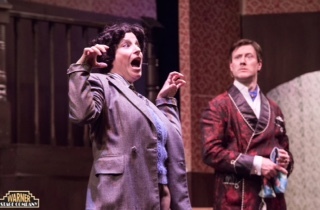 We just “rolled over” into the comedic side of murder!